The two Turkish teams from the same city are clearly big rivals and there is a great deal at stake in this game. Local pride counts for a lot and the fact that Anadolu have won two of the three meetings this season will not be lost on anyone. Efes can take confidence from these wins but Fenerbahce will be keen to state their dominance. However, this is also the Euroleague and there is a lot at stake. Efes need to grab a win to make it to the playoffs while Fenerbahce know that if they win and CSKA loses, they take the top spot in the group. This means that there is a great deal to play for in this one. Andrew Goudelock is the top scorer for the home side this campaign with an average of 16.4 points per game this season. He has been assisted by Nemanja Bjelica, who has provided an average of 8.1 rebounds per game this game. Another top player for Fenerbahce has been Emir Preldzic, who has provided an average of 3.1 assists per game this season. Stratos Perperoglou has been in fine form for Anadolu this campaign, providing an average of 10.5 points per game. He has been helped by Dario Saric, who has a record of an average of 5.6 rebounds per game this season and Dontaye Draper, who has provided an average of 3.3 assists per game this season. The home side has an 18-5 record in the Euroleague this season. This consists of an 8-2 record in the regular season while they have a 10-3 record in the Top 16. Efes have a 12-11 record in the Euroleague this campaign, coming in with a 6-4 record in the regular season while they can boast of a 6-7 record in the Top 16. With respect to average points scored, the home side has an advantage of 82.0 to 76.2. In the Turkish league, Fenerbahce are at the top of the table, sitting with a 19-6 record. Their most recent domestic game was an 82-77 loss away to Banvit BK. Anadolu are currently in third place in the Turkish league with a 17-8 record, so things are mighty tight at the top of this table. 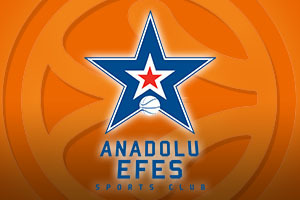 Anadolu also lost their most recent domestic game in the Turkish league, falling 81-79 away to Eskisehir Ba. These competitive games show that there is a lot of finely balanced teams in the Turkish league and even though Fenerbahce have a superior Euroleague record to their domestic rivals, this game may still be a close one. 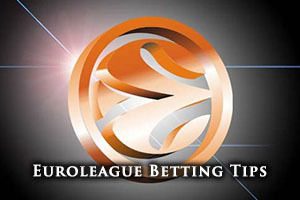 Taking Anadolu with a -2 handicap, at odds of 1.90, could be a great way to add some fun to your Thursday night Euroleague betting activity. With respect to the Over/Under market, look to go UNDER 156.0, with odds of 1.90, in this one. If you are keen to watch this battle of the Turkish teams in the Euroleague, we can help you to see Fenerbahce Ulker Istanbul v Anadolu Efes Istanbul live on Thursday the 9th of April. Bet Now!